Questions around Siyabonga Cwele's appointment of president Jacob Zuma's daughter have surfaced again. The Department of Telecommunications and Postal Services (DTPS) will not comment on the appointment of Thuthukile Zuma - president Jacob Zuma's daughter - to the position of chief of staff at the ministry, even though its justification for the move is being questioned. It is understood the Public Service Commission (PSC) is investigating the appointment, which follows a complaint lodged with the public protector in July. According to the Mail & Guardian, the PSC is conducting an investigation relating to the appointment of the 25-year-old Zuma. "The complaint relates to the regularity of the appointment of the chief of staff at the ministry of telecommunications and postal services, Ms Thuthukile Zuma." Furthermore, the publication claims a comprehensive PSC report into the appointment of ministerial staff has negated much of the justification around Zuma's appointment. "Any person who... is appointed in this position should possess the minimum, essential management, administrative, liaison and interpersonal relations competencies," the PSC report says. However, it is understood Zuma does not have the business or managerial experience for the role. 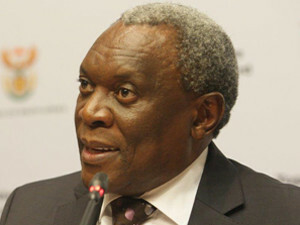 Her appointment in July by telecoms and postal services minister Siyabonga Cwele sparked criticism from opposition parties and observers. While the post was never advertised, government, at the time, insisted the appointment was consistent with the rules and regulations governing the appointment of people in government ministries. The DTPS also stressed Cwele only considered her capacity to do the job and her qualifications, whereas her "genealogy" never played a part in the consideration. This morning, DTPS spokesperson Siya Qoza said he would not comment on the PSC report that outlines the appointment criteria for ministerial staff. "I haven't seen the report, but this is not something that we are going to comment on," Qoza stated. Marian Shinn, Democratic Alliance shadow minister of telecommunications and postal services, says the hiring of a chief of staff is a personal appointment by the minister, and thus not such a clear-cut issue. However, Shinn does point out that Zuma lacks the requisite skills and experience to fill the post, falling short specifically in the areas of business and managerial experience. "This is most certainly a 'jobs for pals' situation, which is not acceptable to us," says Shinn, adding she hopes the PSC probe finds the appointment was irregular. Meanwhile, it is not known who lodged the initial complaint with the public protector, as neither Thuli Madonsela's office, nor the PSC will comment on this.